This was not my first visit of Jungfrau region. I have been there before, most recent in January in Mürren. 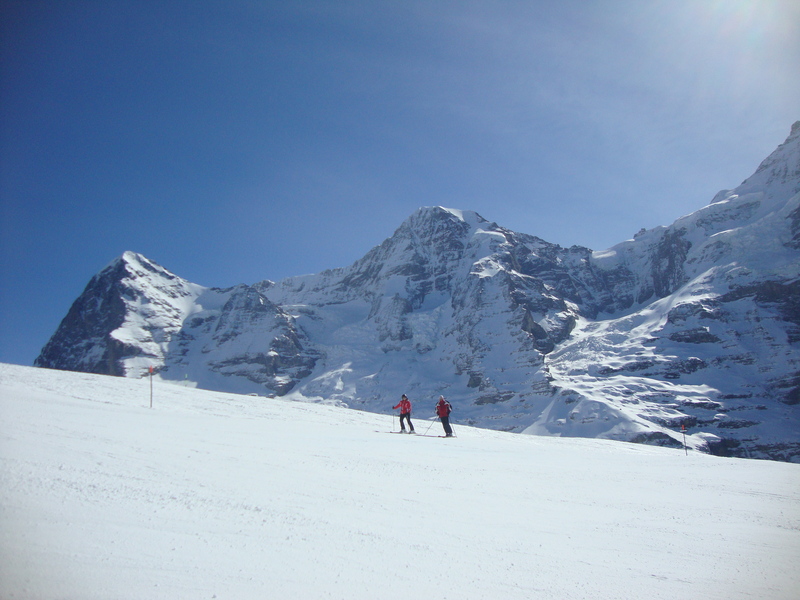 This time, I’ve returned to Grindelwald and my favourite slopes of the region – to Kleine Scheidegg – Männlichen. I like this area because it offers broad variety of slopes of all difficulties which are well connected. You can easily ski from Kleine Scheidegg to Männlichen and back (or reverse) without even taking your skis off. We started our ascent to the mountain from the village of Grindelwald. 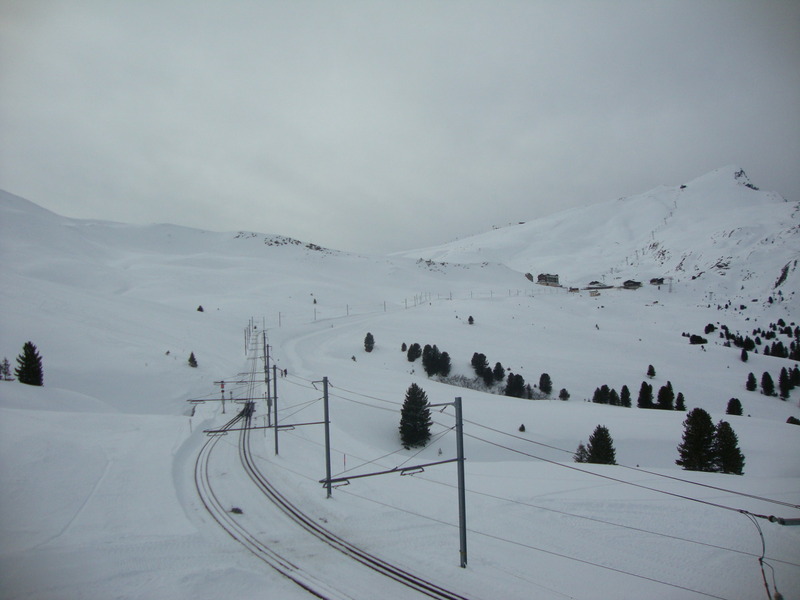 From there there are two possibilities to go up to the mountain: by railway to Kleine Scheidegg or by cable car to Männlichen. We took the train because one of my companions never rode mountain train before. After a 35 minutes of scenic ride we’ve arrived to the top. Mountain Railway route which takes you from Grindelwald to Kleine Scheidegg. Kleine Scheidegg – Männlichen lies at the foots of the Eiger, Mönch and Jungfrau mountains. The views from here are to me even more stunning than the views from neighbouring Mürren or Grindelwald-First. 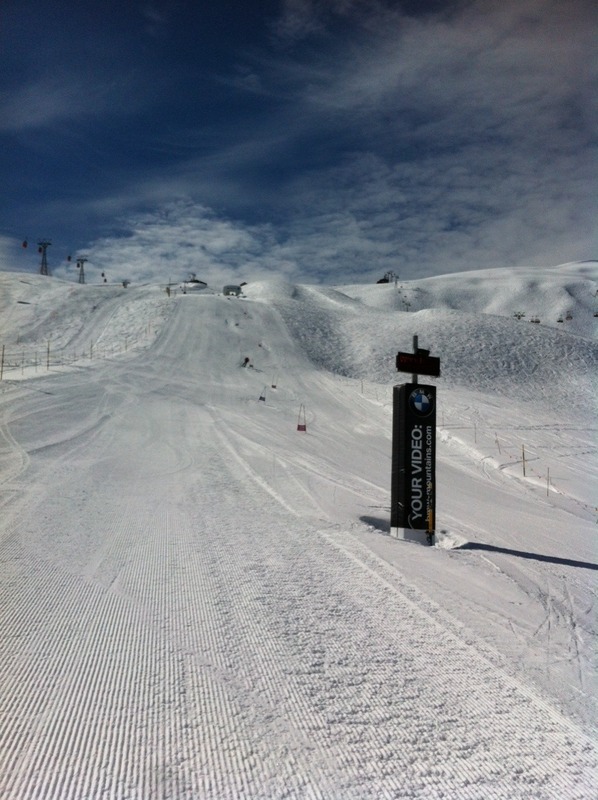 At the Lauberhorn piste, where the famous Lauberhorn World Cup race is held every year. A nice addition to the classic ski-resort offer are photo points where you can take your photos and later download it from the internet, speed check where you can measure your speed and ski movie where you can film your run – all included in the price of a ski pass. *I’ve borrowed this pricing section idea from blog Andreja’s WORLD. I found her summaries of the daily expenses very useful and informative. Andreja, I hope you don’t mind using your idea. If you do, please let me know. Copyright © 2015 Slovenian Girl Abroad. All rights reserved. I have Venice booked for my bday in February and I just joked with my boyfriend last night maybe we should cancel that and go to Switzerland instead! Maybe I might! Oh my goodness!! This resort looks STUNNING!! So much snow. We love to ski and my husband would be in heaven with all those runs. I would love the fresh powder. Those photo and speed check things are so cool too!! We have never had anything like that at any of the ski resorts we’ve been too!! Glad you joined in the link up! !